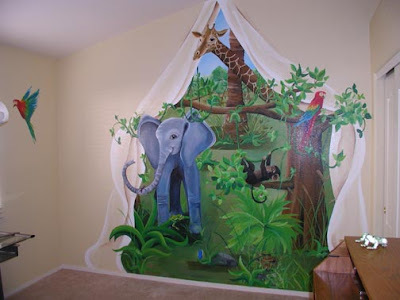 What a great way to bring the outdoors in. 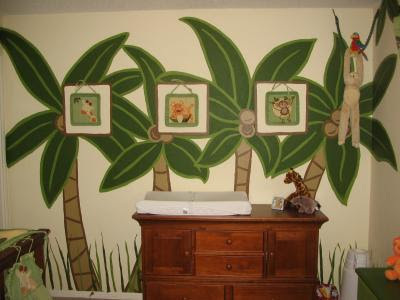 A jungle themed nursery mural will spark your child’s imagination as they grow and discover. 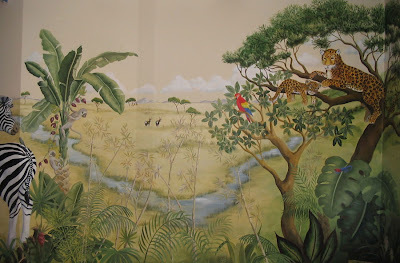 Here are a few creative mural ideas for your to consider. Some are simple and some are more elaborate. Work with the artist to come up with a design that fits your budget. 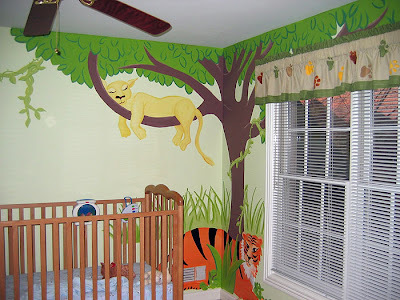 Here are a few great bedding options to go with the jungle theme.